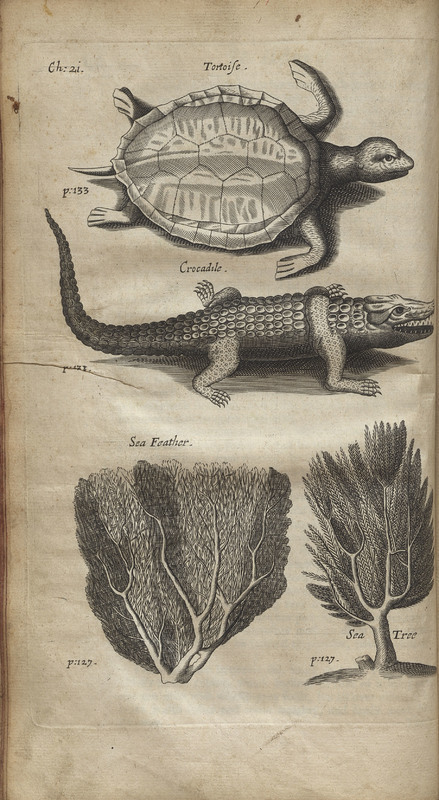 Translated into English from its original French, this work features descriptions of many Caribbean islands as well as information about the plant and animal life present in the region. 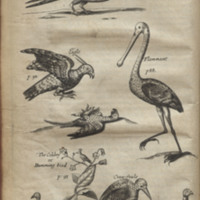 While Defoe’s exact sources for Robinson Crusoe are open to debate, he likely used books similar to this one in order to create and accurately describe Crusoe’s island. 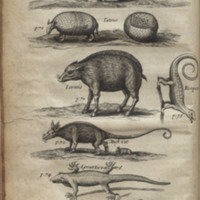 The plants and animals of the New World were of great interest to the European public, particularly since the Caribbean islands were a crucial part of Spanish and English colonial economies. 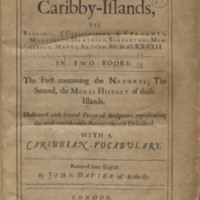 The History of the Caribby-islands, viz., Barbados, St Christophers, St Vincents, Martinico, Dominico, Barbouthos, Monserrat, Mevis[! 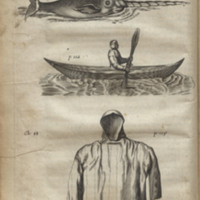 ], Antego, &c. in all XXVIII. In two books. The first containing the natural; the second, the moral history of those islands. 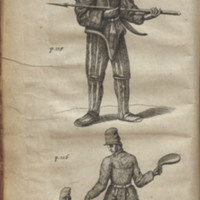 London: J. M. for T. Dring and J. Starkey, 1666.